Some seeds are able to drive themselves into the ground—Pelargonium carnosum is one such example. 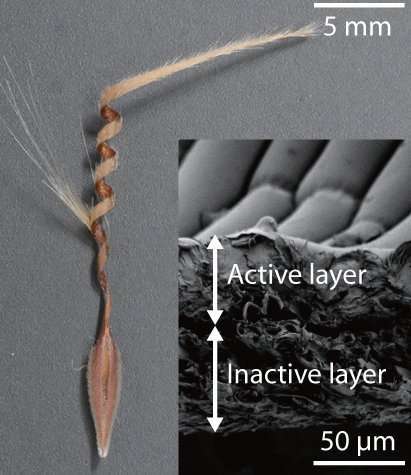 The researchers with this effort studied such seeds to learn how they move themselves without the need for a motor, and found that they have multiple layers on their outer coatings—some absorb moisture from the air, while others do not. When the air is moist, the outer coating stretches, causing bending that results in movement. The team then applied what they had learned to small objects created using nanofibers as an outer coating—some absorbent, some not. The small objects are a form of hygrobots, because they move based on moisture action. To cause movement, each hygrobot was constructed in a particular shape so that as it relaxed, only one end would move, causing the entire bot to move slowly in that direction as it bent and relaxed repeatedly. Movement of the hygrobots also called for controlling the environment to some extent—in some instances, the team quickly cycled the air in which the hygrobots operated between moist and dry. But they also found that using just the right mix of nanofibers in a dry environment allowed for creating a hygrobot capable of traveling across a wet surface using only the natural differences in humidity levels. The team videotaped several of their creations in action, such as an inchworm-type bot making its way across a surface and a bot slithering like a sand snake across another surface. 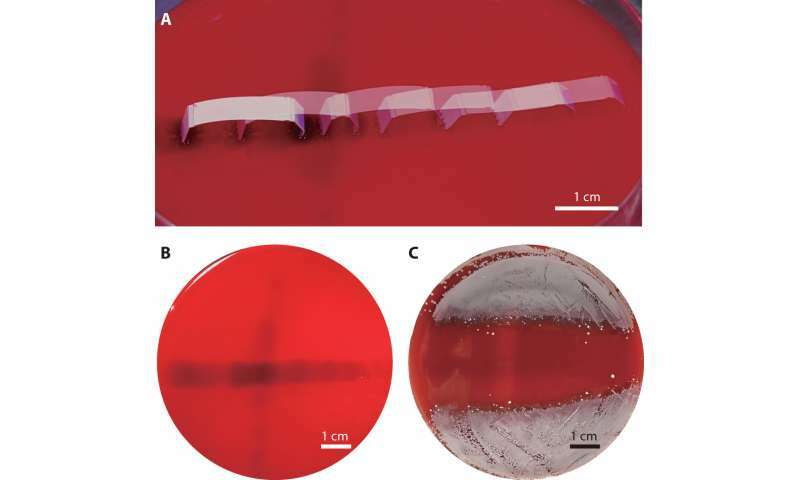 And in one instance, a smaller form of their inch-worm-like hygrobot moving across a petri-dish carrying with it antibiotics that cut across a bacterial biofilm. 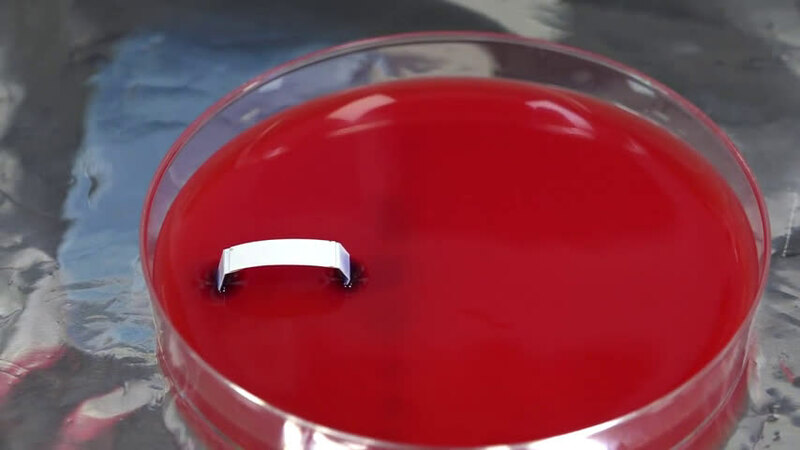 The group suggests their tiny bots might one day prove useful in military applications, as well—and perhaps as medical treatments, or as bots able to deliver drugs inside the body.